Are you plagued by issues of trust, contamination, laziness, fear or suffering a reaction? Maybe the cooks will surprise you! The fur you're buying: is it fake or real? I've written about why vegans don't buy fur here. 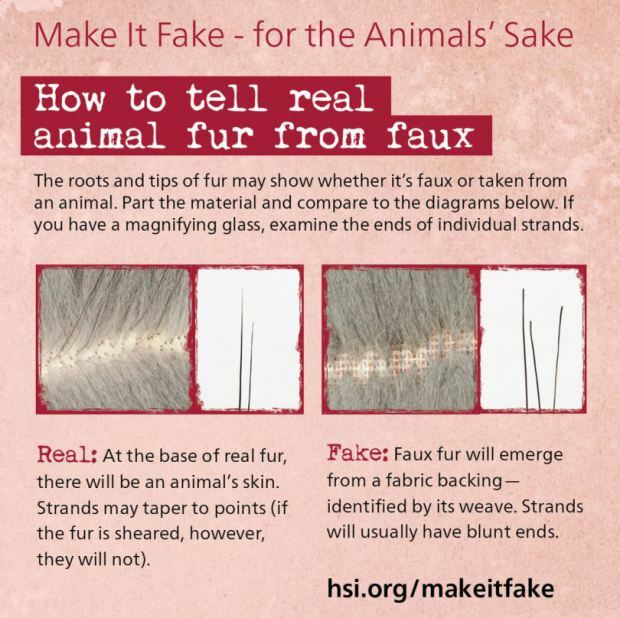 However, there's been quite a bit of press about 'real' fur being labelled as faux fur when it isn't! categories / Is it vegan?, Tips, Clothes and shoes etc. The stash that your vegan friends will love! Do you ever feel ill-equipped when your vegan friends or family come over because you haven't had time to pop in to a 'special' shop to buy vegan treats and snacks? Perhaps, you've felt as if you've not had enough time to find out what's vegan and what's not. Maybe you haven't fancied making an extra effort to find out what they can eat, and then try and find it, so you couldn't offer anything when they came over. If any of these ring true, this article will give you everything you need, without involving the need to visit any 'special' shops! A few non-vegans have told me that they have refrained from purchasing specific items for their vegan friends or family because they spotted a sentence explaining that the item 'may contain' an animal product. Those with allergies will want that allergen label taken into consideration. Others will have different reasons for avoiding items that bear the risk of cross-contamination. However, the majority of vegans I know are fine with consuming items that have vegan ingredients, even if there's a warning that says it 'may contain' something that's not vegan. Do you have to go on a vegan cruise to eat well whilst cruising? Find out why we ended up booking a cruise, where we travelled, how well we ate, and whether we'd go on a cruise again! Vegans have a rep for being pushy but what about vegetarians and omnivores? "Vegans are so pushy! Why can't they do what they want without ramming it down everyone else's throats!" This review was written by my friend Menka. She was lucky enough to stay in Bali for a few weeks, and it's the only place she's been, where she hasn't missed home! She is a foodie and has kindly shared her commens a few of the places she ate at. I am extremely grateful to Stella for sharing how she experienced being a vegan mum who raised her children as vegan, during a time when restaurants and supermarkets weren't as vegan friendly as they are now. Do you know what's vegan in Morrisons? Do you know what's currently vegan in Morrisons? This article is by Dr R Saravanan. He is a qualified homeopath, who has a passion for holistic health. He has contributed a chapter in the best life changing book "Rethink Food: 100+ Doctors Can't Be Wrong" I wanted him to share how he discovered veganism, why he shifted to a vegan diet and the benefits that he witnessed as a result of this shift.